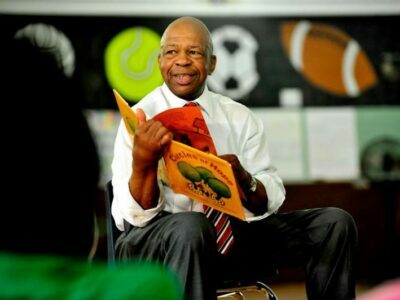 Our community schools youth program Elev8 Baltimore is partnering again this summer with the Children’s Defense Fund’s Freedom Schools® program from July 3rd to August 4th to help engage students in learning throughout the year. Continue reading "Be a Guest Reader for Elev8 Youth this Summer"
Interested in an administrative career? 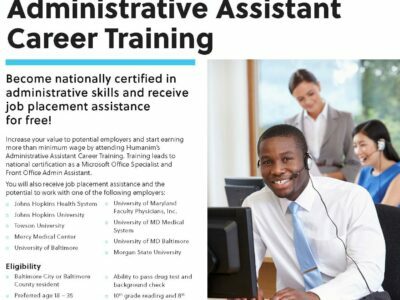 We are currently recruiting for our next FREE Administrative Training program! 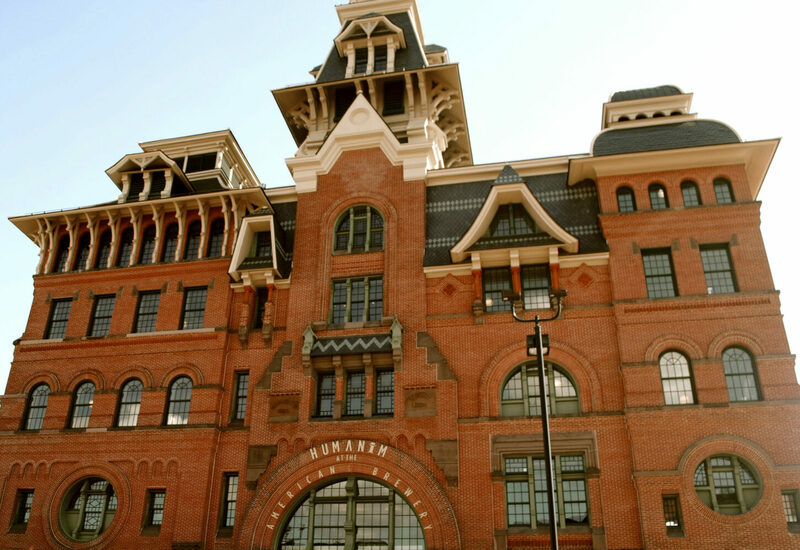 Receive specialized training, certification, and job placement assistance. 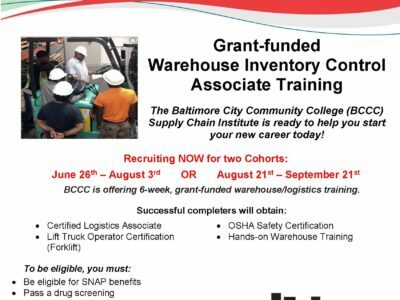 Continue reading "Free Administrative Assistant Career Training at Humanim"
Continue reading "Free Warehouse Inventory Training"
Congratulations to our Training Graduates! It’s been a fruitful graduation season at Humanim. We would like to congratulate each and every one of our training graduates, from culinary customer service training to our Start on Success youth. 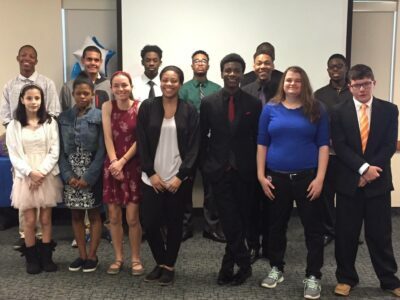 Continue reading "Congratulations to our Training Graduates!" Congratulations to our School of Food Graduates of 2017! 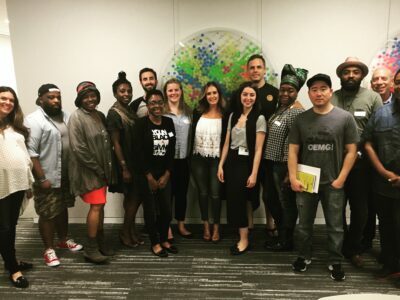 From tea to juice to sausages, an amazing group of Baltimore food & beverage makers graduated from our social enterprise City Seeds School of Food last week. Continue reading "Congratulations to our School of Food Graduates of 2017!" 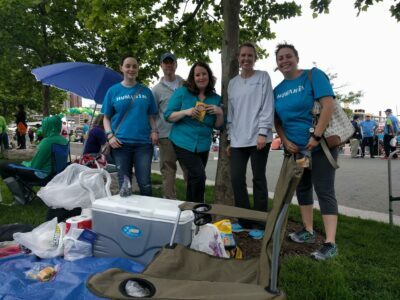 Team Humanim had a great time at this year’s NAMI Walk in Baltimore’s Inner Harbor! We were able to raise over $400 through our NAMI walk and fundraising efforts this year, to go toward mental health awareness and treatment. 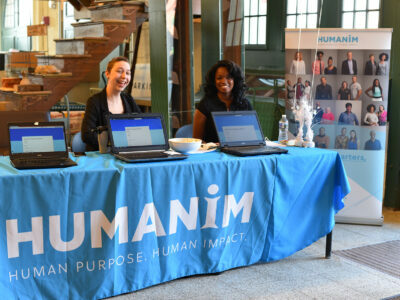 Continue reading "Team Humanim at Nami Walk 2017"
Interested in a career at Humanim? Join us for the the Howard County Government-Office of Workforce Development’s Job Fair on Thursday, June 8th to learn about career opportunities at Humanim. This Job Fair is free & open to all interested job seekers. 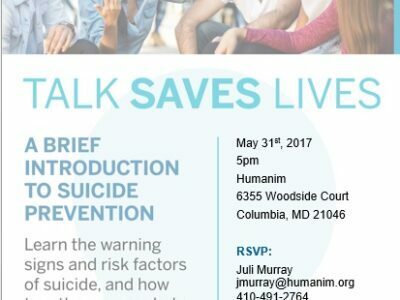 Continue reading "Join us for the Howard County Office of Workforce Development Job Fair"
Join us for our Talk Saves Lives event on May 31st as part of Mental Health Awareness month! Talk Saves Lives will provide an introduction to suicide prevention, where youth and families can learn the warning signs and risk factors of suicide, and how together we can help prevent it. Continue reading "Close out Mental Health Awareness Month with Talk Saves Lives"
Continue reading "Details Deconstruction Featured in Chronicle of Philanthropy"